Wrap fresh grilled or roasted asparagus along with other delicious options in a Fresh Flat Bread, you can even grill the flat bread! As the spinach sprouts, it’s Quiche I’m thinking of—the easier the better. The “miracle crust” that sorts itself out while baking — (the crust ingredients are mixed then combined with the egg, spinach and cheese mixture)–gifts us all with more Spring time for gardening, biking or just a fresh air walk. 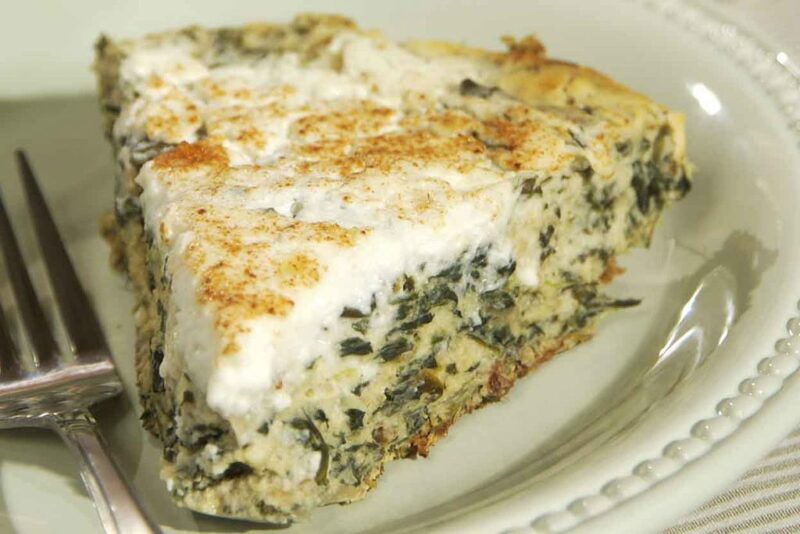 Try this miraculous quiche! Even though I’m just planting them, not harvesting yet! HBA will be learning and sharing whole grain rich baking with the Child and Adult Care Food Program April 22-25. 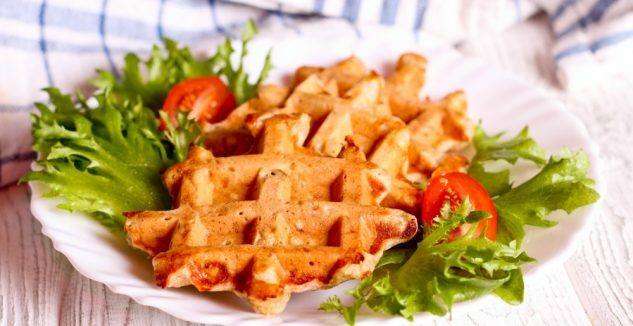 Among the great recipes we’ll share are these irresistible Veggie Waffles with hints of carrot cake and zucchini bread! Giving a home-baked gift is a great way to show someone you care! Every March is Bake and Take Month, a time to celebrate your everyday relationships with some delicious baked goods. Bake and Take was created in 1971 by the Kansas Wheathearts to be an opportunity to revisit relationships with friends and family by baking and sharing treats. Kansas Wheat and the Homebaking Association continue those efforts today with their Bake and Take Month partnership. While a month long celebration might not be the right fit for some, Bake and Take Day, celebrated annually on the fourth Saturday in March, is a great opportunity for families and service groups to get together in the kitchen and around the oven. If you do bake it off, let HBA see your creations on social media! Check out Home Baking Association’s Facebook page, Instagram, and Twitter feeds here. Sample Carrot Apple Muffin recipe from EatWheat.org. Click here to view the recipe! Who doesn’t love a fresh baked good in their life? If you’re looking to spread a little spring-time cheer, meet your newest neighbor or impress your new in-laws, Bake and Take Month in March is the celebration for you! 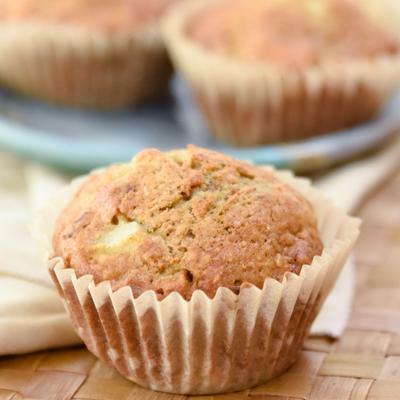 Bake up a storm with an expert, Sharon Davis from HBA, and try your hand at Whole Grain Rich Carrot Apple Muffins! 2:30 p.m. central time!Here’s a free download of a recipe that will be featured! Bake for Good, Learn, Bake, Share. Share what you’re doing at #learnbakeshare! Bake Sale for No Kid Hungry, the Great American Bake Sale initiative! Meet Bake Sale Heroes, get bake sale resources to assist and get baking. Bakers Lends a Humane Hand Pet Treats and more! Perhaps you can share your love of baking by giving a copy of Baking with Friends to someone special. Check out the Home Baking Association resource here. Above all, just DO IT! Enjoy Bake and Take Month! March 2019 – Calling all baking educators! Classroom educators, community organization and afterschool program leaders are encouraged to enter. Submit a baking activity or lesson by March 31 to be eligible to win the $1,000 award and a trip for two to Lake Placid, NY! The Home Baking Association (HBA) recognizes an educator annually. The non-profit association seeks to reward educators who have implemented outstanding programs that teach children to bake and share baking in their communities. Family and consumer sciences (FCS) educators and youth organization leaders for FCCLA (Family Career Community Leaders of America), 4-H, Boys and Girls Clubs, Camp Fire USA and other after-school or community programs are encouraged to share successful community baking programs. Youth who have developed baking programs that teach other youth to bake are also invited to enter. The outstanding educator selected will receive $1,000 and a trip to the HBA Annual Meeting to present the winning project. All entrants will receive a complimentary teaching resource. Visit HomeBaking.org for ideas, teaching resources and previous award winning lessons. Congratulations to the 2016 Educator Award Winner, Delaine Stendahl, family and consumer sciences teacher, Whitehall, WI. Stendahl won the award with her entry The Power of Eggs. This resource is a perfect example of the outstanding lesson plans the Home Baking Association would like to help promote. 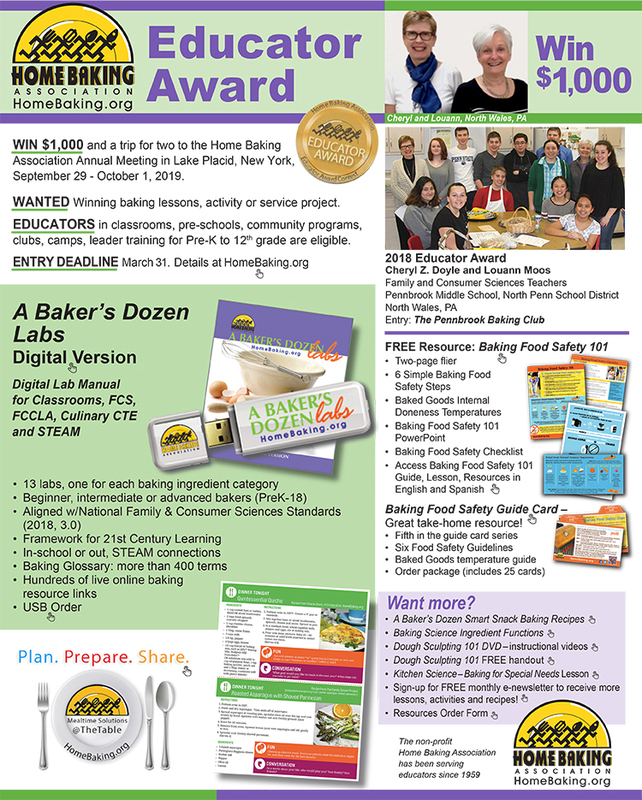 For Information on the 2019 Educator Award Program visit HomeBaking.org. Entries must be received by March 31, 2019. Bake with a well-tested (standardized) recipe. Most good recipes may be baked as a whole-grain product. 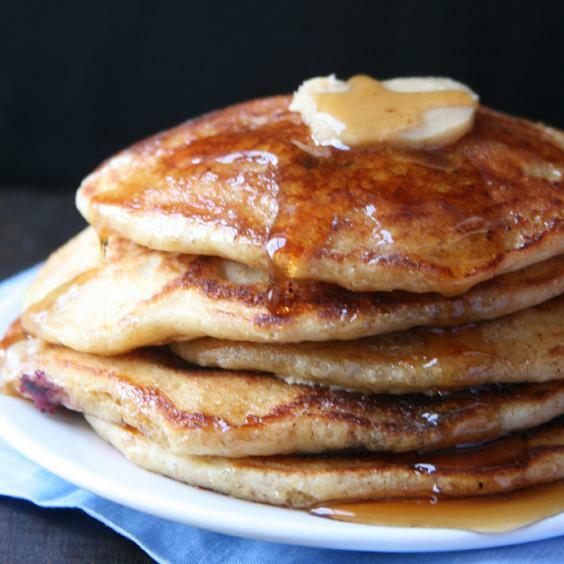 For a lighter appearance and flavor use white whole wheat flour (read package label). 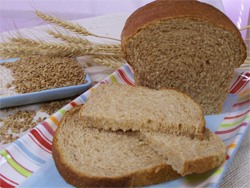 Standard whole wheat flour is produced from red wheat and has a darker bran color. Find the whole grain version. For de-germinated cornmeal, sub one for one whole grain cornmeal. Want multi-grain? 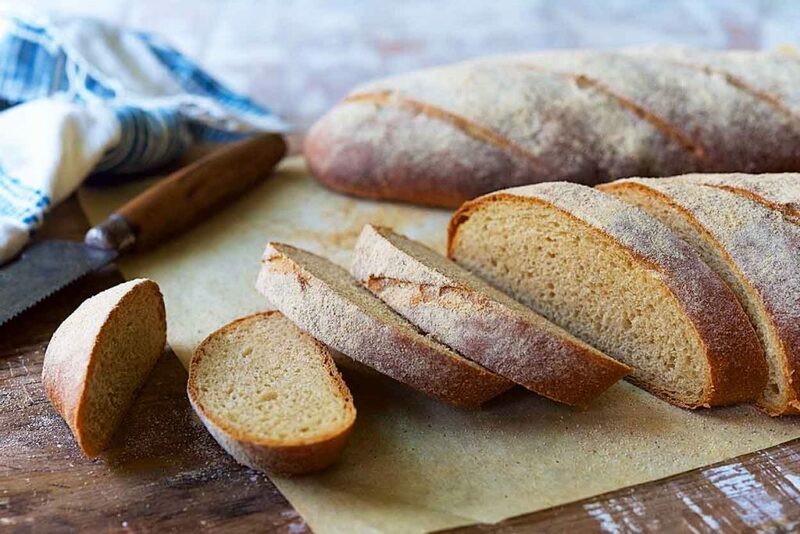 Create your own blend to sub for ¼ (25% and no more) of the enriched or whole wheat flour. More liquid needed? Not if veggies, fruits or buttermilk are included. If batter/dough seems dry, add 1-2 T. liquid. Bake together, eat better. When children help, they’re much more likely to try and adopt whole grain foods. Check out the resource Whole Grain Baking 101 for more information. Sharon Davis of the Home Baking Association sat down with the folks at Kansas Farm Food Connection earlier this month for a discussion about Bake and Take Month. What’s better than baking something delicious? Sharing it with others! That’s what Bake and Take Month is all about. Sharon harkened back to the 1970s, when the Kansas Wheathearts started Bake and Take Day. The Wheathearts, composed largely of farmers’ spouses, were an auxiliary of the Kansas Association of Wheat Growers that wanted to build up their communities. On Bake and Take Day, members would bake a dish to share with neighbors or those in need. Today, all of March is Bake and Take Month. It’s a great time for families, 4-H-ers, scouts or any group to make something homemade and share it with others. Sharon says you can share your baking with neighbors or take your goodies to nursing homes, Veterans Affairs centers, childcare centers, church groups—you name it. “Pick one locally and call ahead to tell them what you want to bring. Then, sit down and share it together,” Sharon said. More than the gift of the baked good is the gift of your time. It takes time to bake something from scratch and it takes time to visit with people. That’s what’s most important. “You don’t have to be a chef with a portfolio of knowledge. Just get a bowl out and prepare something delicious!” she said. If you’d like some ideas to bake, visit their website for recipes. If you’re not an avid baker, Sharon suggests starting with something easy like banana or pumpkin bread (these quick breads don’t require working with yeast) or muffins. While Pinterest is great for finding inspiration, Sharon recommends getting recipes from reliable test kitchens like those at Eat Wheat or King Arthur Flour where you know the recipes have been well tested. As for Sharon, she’s still deciding what to make this year. “I’m a bread baker, so I’m most likely going to bring a cinnamon swirl bread, no frosting. I also love whole grain quick bread or apple sauce oatmeal muffins,” she said. For baking resources, how-to videos, tips and ideas visit the Baking Glossary or Education sections of the Home Baking Association’s website. Follow #BakeAndTakeMonth on social. Better yet, upload photos of your own Bake and Take adventure and share them with the hashtag! Wednesday, March 27th is Whole Grain Sampling Day! 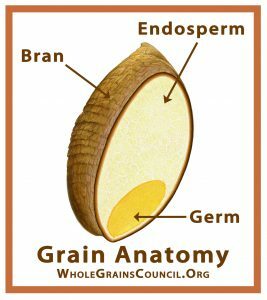 Check out the Oldways Whole Grains Council video below, to get inspired about Whole Grain Sampling Day. 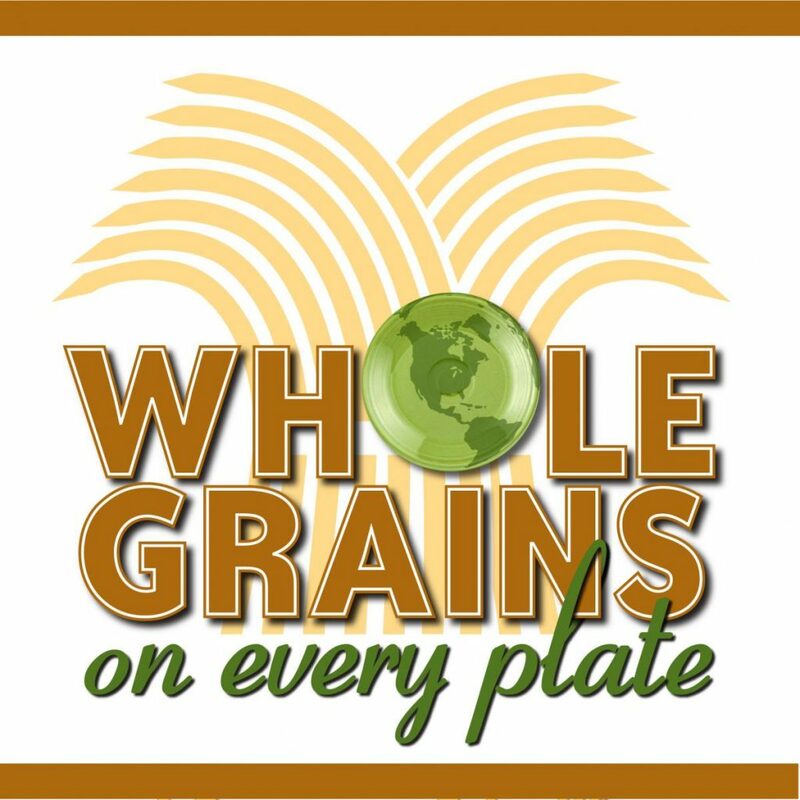 How Can You Celebrate Whole Grain Sampling Day in Your School/Community? ■ Highlight Existing Whole Grain Menu Items! There’s no need to create new menu items – unless of course you want to. Since you’ve already got delicious whole grain dishes on your menu—feature those! 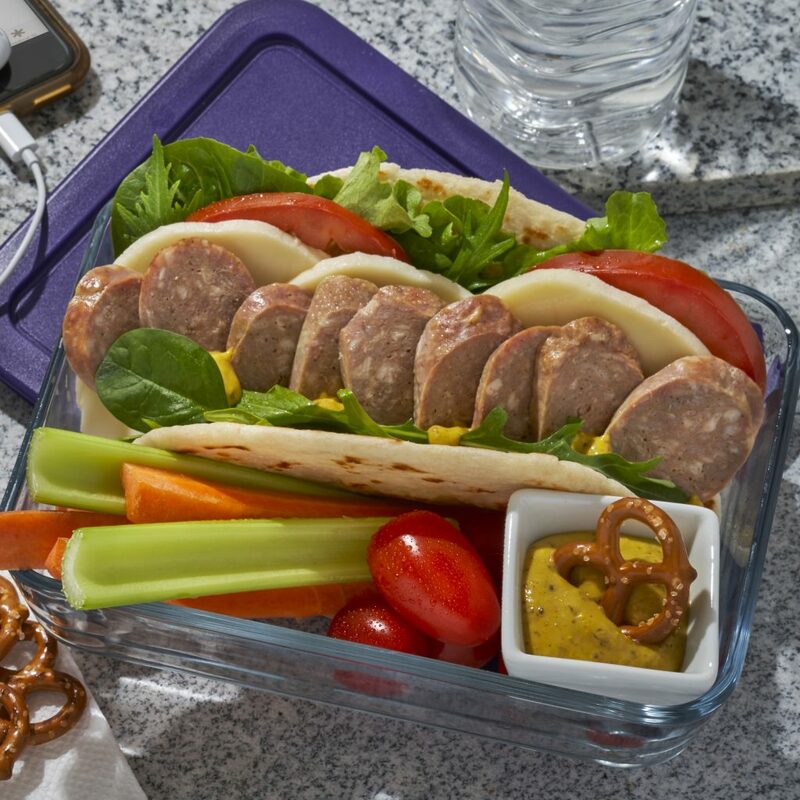 ■ Sample Some New Whole Grain Items Whole Grain Sampling Day is a great time to let kids taste some new whole grain items you may be planning to introduce. Especially for elementary kids: provide whole grain stickers to everyone who tries your new whole grain item. ■ Create Educational Games Take a pointer from other schools, and get creative with nutrition games and races that get kids excited about whole grains. We’ve included examples on the following page. We can also supply you with stickers, posters, handouts and more! Brainstorm with us now. ■ Invite Parents to a Tasting Event Kids will get more whole grains at home if you make sure their parents know about the whole grain foods kids love. Plan a tasting event for them, at morning drop-off time, after school, or in the evening. 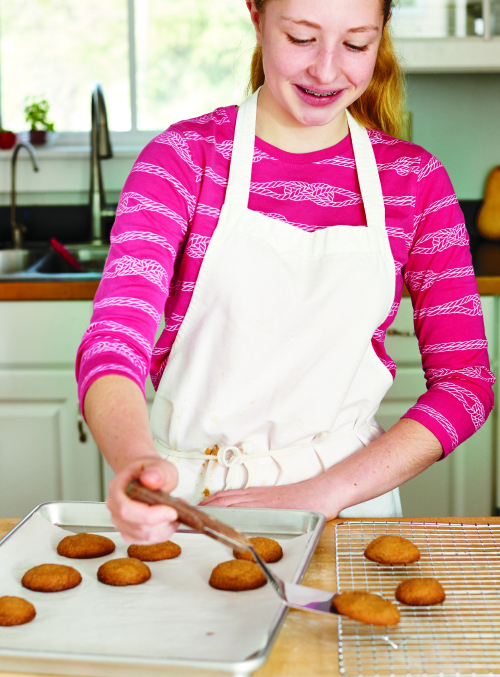 “My Girl Scout Gold Award project, The Knead for Baking, was the first way I began to share baking with others. 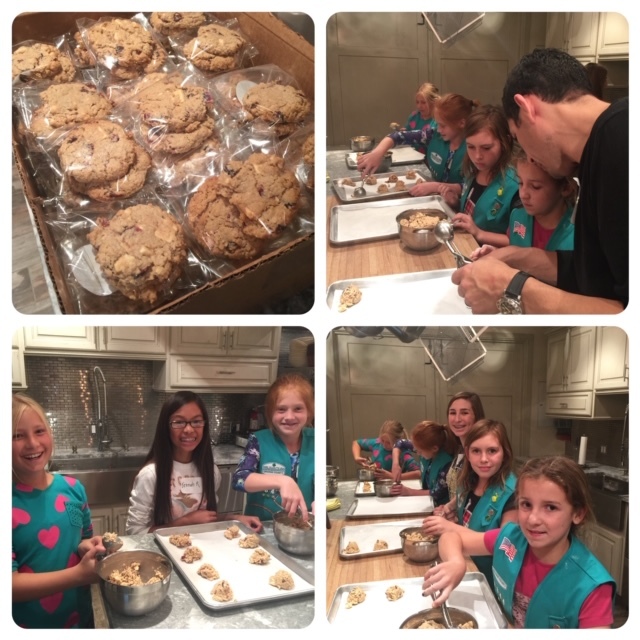 The plan included working with the volunteer organization, the All Star Program at Ladera Ranch Middle School to schedule two types of baking classes: an after-school instruction-based class and an in-home class where kids learn and practice baking skills from The “Knead” for Baking guide. I worked with the Home Baking Association as a liaison to ensure my content was accurate and aligns with education standards. After developing the curriculum and PDF, filming the instructional video, and creating a follow-up assessment and survey, I launched my website www.thekneadforbaking.com. AFTER the classes, 90% report they will try to bake something from scratch! The project will continue to impact Ladera Ranch Middle School as The Knead for Baking will still be a requirement in order for the kids to donate baked goods. 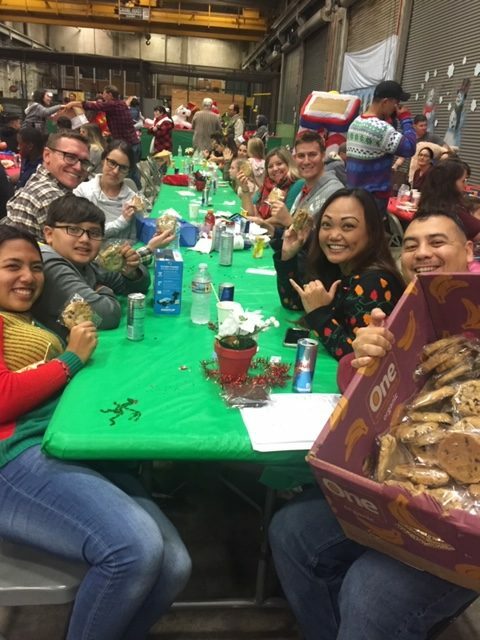 “Our largest charitable cause has been the Marines at Camp Pendleton to whom we donate over 1000 cookies every year at the holidays. Once the community realized we are able to donate our cookies, we started receiving requests from Meals on Wheels, The American Cancer Society, local fire stations, our Marines at Camp Pendleton, The Ronald McDonald House, Welcome Inn Homeless Shelter, and many bake sales for various causes. One of Sofia’s greatest rewards? 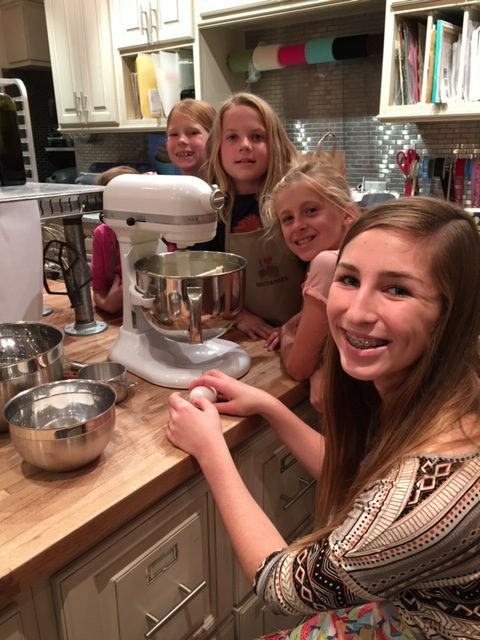 “I love seeing my students’ photos on social media when they have baked a batch of cookies to donate or fund raise.” The HBA hopes Sofia’s bakers will add one more charitable cause—Bake Sale for No Kid Hungry. We know they would soon be Heroes or Rock Stars! 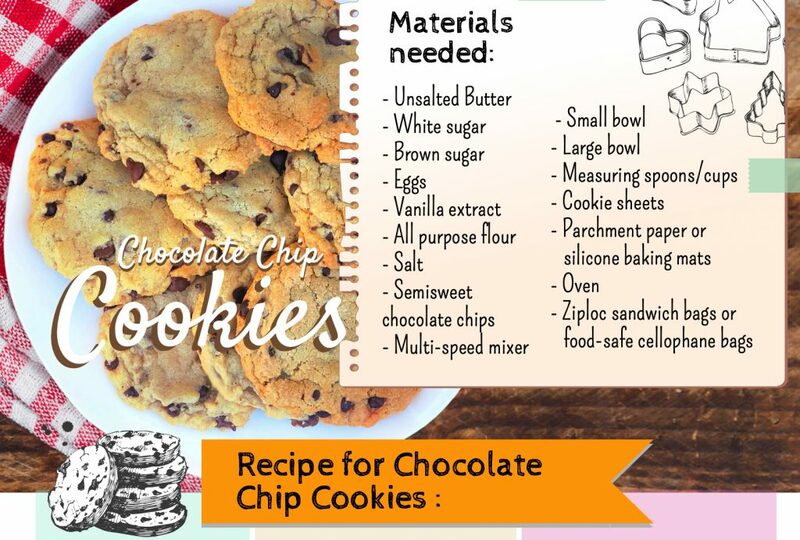 Like Sofia, and her students, let us know what you do to share your baking wealth! You might even enter the HBA educator award opportunity by March 31! We’d love to hear from you! 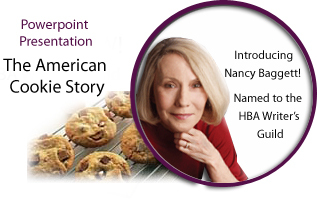 Before you read Sofia’s traditions, tweak your imagination with Nancy Baggett’s The American Cookie Story–Cookie Chronicles, and view the history of several favorite cookies. Sophia’s right! Baking is one FABULOUS de-stresser and bond-builder. 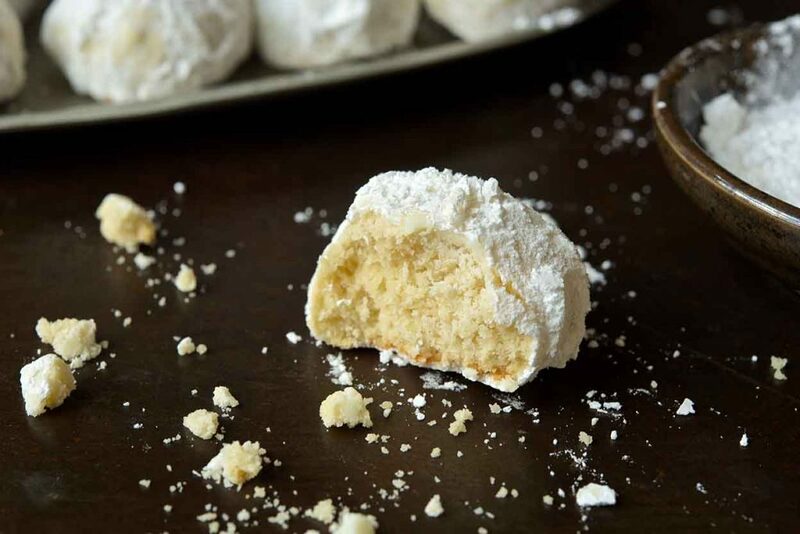 Enjoy creating a new baking tradition—share the wealth!